We did get the 3-4″ of snow last night followed by rain. 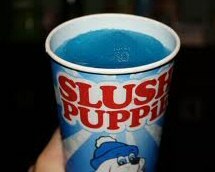 When I left the house it was like going to the 711 and dipping my feet in the slushy machine. On the other hand it is no where near as cold today – just a full day of chilly rain. I’m still busy with my web project and almost forgot to post today. 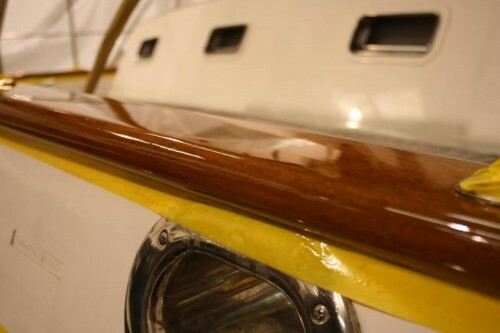 Despite the weather we are getting some varnish done. The key is not to lay it on too thick or it won’t cure lower down in the varnish. This shot shows some good technique. 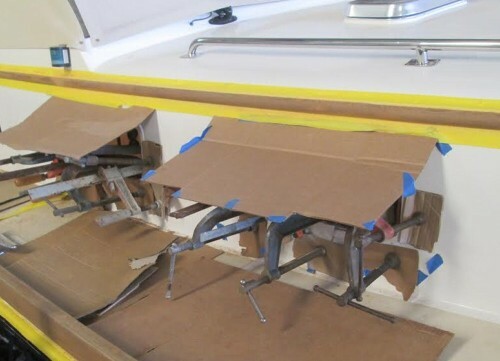 If you were wondering how we got the core material into the cabin side of the EB38 — the answer is lots of clamps! The lazarette hatches are still a work in progress. Here they are getting the final flattening before epoxying the new teak decking on them. 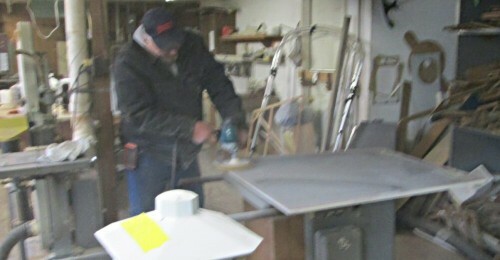 Evidently Pat didn’t want to get his dust mask dirty so he kept over on another bench. I could only stand there long enough to get this shot. 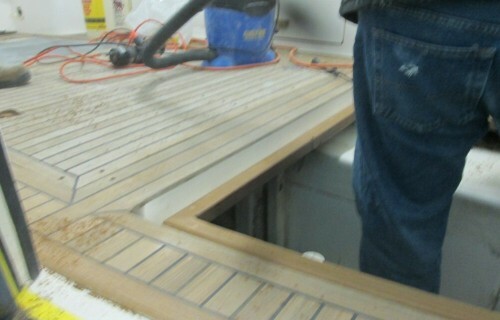 In order to get thick enough teak on the hatch we needed to lower it a bit which was one of the easiest parts of the job. The lip it was sitting on is just teak so we just ground it down a bit, sanded and routed a profile on it. Job done. A Cummins engine on one boat had a leaking after-cooler. Unfortunately it was on the outboard side of the engine with a mere 12″ between it and the tanks. Tom had to go in from both ends to remove it. He cleaned it up well so the new o-ring would offer maximum fitability (I like to neologize at times). 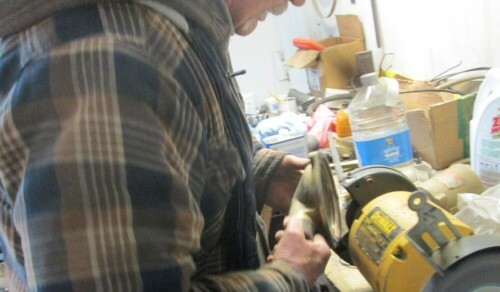 And of course, a fresh coat of pant on this as on most engine parts we remove.